Midi length lux chiffon dress w/ spaghetti straps. 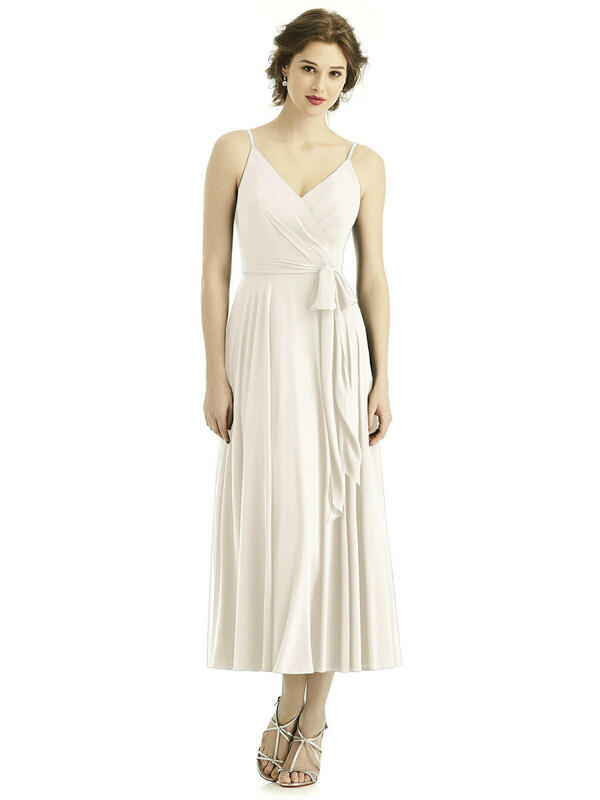 Draped bodice has v-neckline and deep v-back. Matching sash at natural waist. Circle skirt. Also available full length as style 1511.